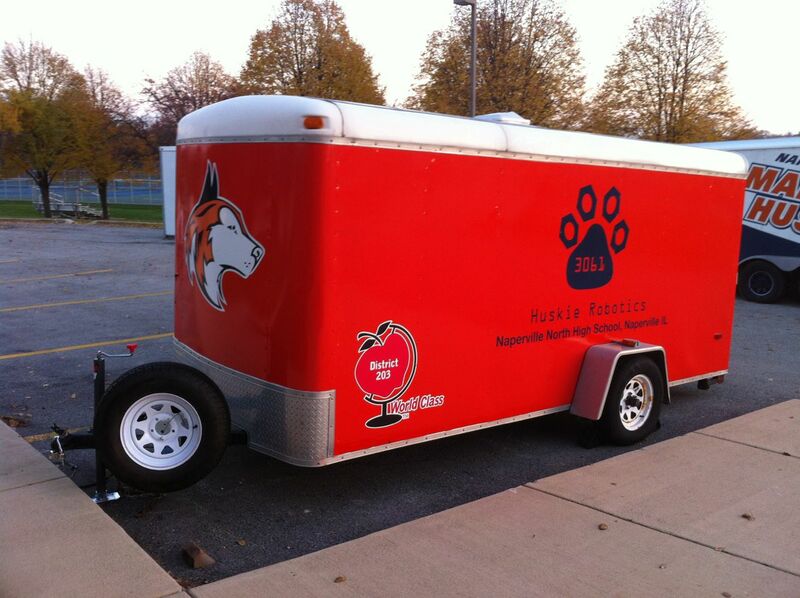 The decals were installed on the trailer for Huskie Robotics, FIRST Team 3061 earlier this week. Several of the students worked to replace the jack that we broke and install a new spare tire holder. We also now have a dolly with which to maneuver the trailer so we won’t break the jack again. I’m reminded how awesome the trailer looks every time I pull into the parking lot!